Murdoch’s Student Hub is expected to be a bustling hot spot this semester, with new restaurants recently opening up and some older ones getting new life breathed into them. The Roll’d staff at Murdoch serving with a smile. L to R: Vincent, Leo, Flora, Elle, Zale, Derrick. Starting from a small family business in Melbourne, the Roll’d franchise opened its seventh W.A. store on our campus! 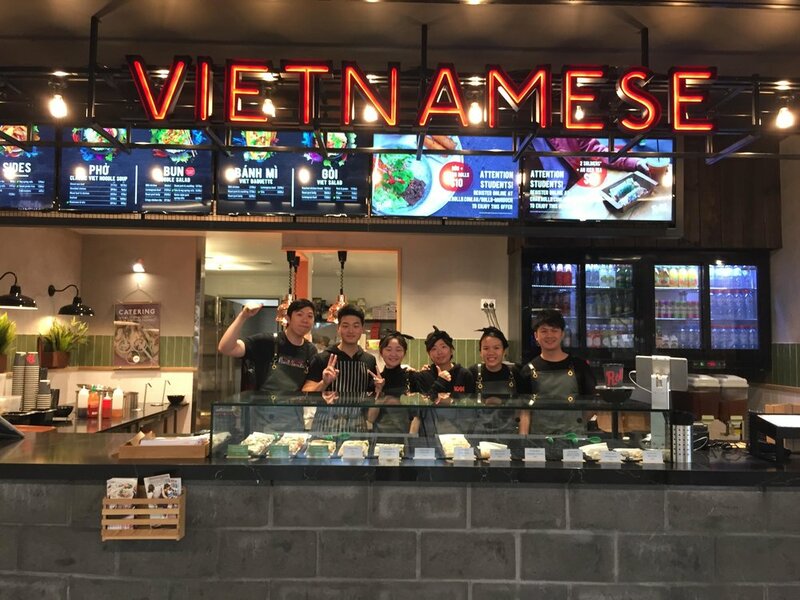 With lots of great Vietnamese food options available, including vegan and vegetarian, you will love what they have on offer. Manager Vincent mentioned that the Roll’d marketing team aim to bring in a Scratch’n’Win card for students to get bonus items with their food, such as a free side with purchase. Just next door is Chinese Canton, another restaurant started from a family business. Owner Richard said that while there no guild discount options, there will be a rotation of daily specials so that students are always getting a good deal. Courtside Café is the last to join the Student Hub, however little is known about it at this time. It’s opening on Open Day, so be sure to check it out! It is located to the right of the entrance coming from Bush Court. Andrea Kendrick is one of Chatime's t-rista's and a Murdoch theatre student. Probably the most talked-about thing among students is the lack of bubble tea places at Murdoch. Well, that’s no longer an issue! 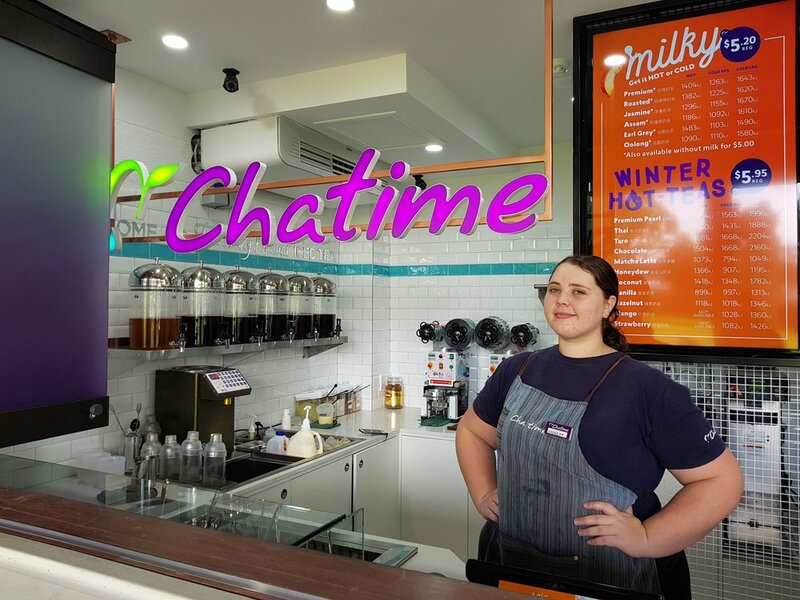 Managed by Sunny and her staff, Chatime has made Murdoch bubble tea-friendly as of Wednesday 18th July. If you love bubble tea and free stuff, don’t forget to grab a loyalty card when you order. Chatime’s rewards program offers a free drink on your birthday and redeemable points (10 for every dollar spent). If you hate lines, Chatime has a solution for you. Order through the app, set a pick-up time and cut the queue! Do you hate single-use plastic? There are plans to roll out re-usable cups by the end of the year, and the Murdoch store might be the first! Stay tuned for more about that. If you haven’t been snooping around like I have (forgive me, I am a journalism student), there you may not know that Club Murdoch has re-opened upstairs near the Student Hub as Sir Walter’s. The table-service restaurant offers contemporary Australian cuisine. Bookings can be made in-store or by calling (08) 9360 2243. Dining options include inside, a private function room or al fresco on the deck. Whatever you fancy, there are options for everyone. Have fun and eat your heart out!